As we inch closer to our #1 Arkansas Education Story of 2013, we bring you #2. Those working on the front lines of Arkansas’ education system have seen many changes in 2013: Common Core State Standards (CCS) and PARCC, TESS (Teacher Evaluations), and also a new opportunity with Districts of Innovation. 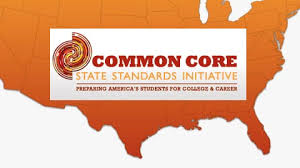 To begin, Common Core State Standards (CCSS) were first implemented in AR high schools this year. The Arkansas Board of Education voted in 2010 to adopt the Common Core standards, and state legislators approved the move a year later. As AR high school teachers made this transition, a national backlash against the Common Core made headlines. Arkansas Against Common Core has formed. Their website includes information about the group’s concerns about CCSS and one may sign a petition against the standards. In July 2013, opponents asked AR lawmakers to drop the CCSS in a two-day hearing, but these efforts were unsuccessful. In October 2013, 16-year-old Pat Richardson of Arkansas gave a presentation regarding his concerns about CCS, including data-mining and PARCC testing. You can view his YouTube video here. 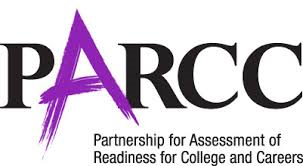 Accompanying AR’s adoption of the Common Core standards is the state’s participation in the Partnership for Assessment of Readiness for College and Careers (PARCC). PARCC is preparing the computerized exams that will assess students on CCSS, replacing the Benchmarks and End-of-Course Exams. Arkansas will participate in PARCC pilot testing in spring 2014, and all AR schools will use the tests next year. Preparing for PARCC testing has been an adjustment, as Benchmark and EOC exams were paper and pencil tests and PARCC is all computerized. The format and structure of the exam will also be a bit different. One may view sample test questions in Language Arts and Math. Next, Arkansas practitioners have also had big changes in teacher evaluation. TESS evaluations also help administrators to plan professional development opportunities. Last school year (2012-13), eleven schools piloted the evaluation system. This year, all public schools (traditional and charter) are piloting TESS. Our OEP blog post in October applauded AR’s Department of Education for soliciting feedback from teachers in the form of a survey about their experiences with TESS. We at the OEP will be monitoring TESS and its implementation in the months to come. The last change for practitioners we will discuss is the passage of Districts of Innovation SB66. 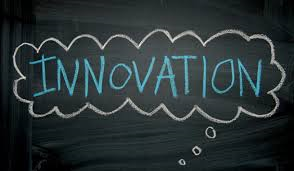 Our blog post from April 2013 explains the rules set forth by the bill, but, in a nutshell, schools in AR that want to try a new format now have the opportunity to apply to ADE to become a School of Innovation. If accepted, the school would receive the necessary waivers from laws, rules and local policies in order to implement an innovative plan. In the blog post, there are examples of other states that have already done this. We at the OEP look forward to schools beginning this process! In closing, we all know that education is an institution that is constantly in flux, but 2013 in particular has required a great deal of adjustments. Humans are creatures of habit and change can be difficult. Thus, this holiday season, we encourage all of you AR superintendents, principals, teachers, and staff out there to pat yourselves on the back for successfully navigating a year fraught with change.